Wood machining center is a multipurpose machine that has numerical control (CNC), which is able to perform complex machining of 3-dimensional workpieces with the help of different tools. Wood machining centers have instrumental shops and devices for automatic tool replacement, as a result of which their productivity significantly increases. On such equipment, roughing, semi-finishing and finishing of blanks, with a multitude of machined surfaces, is carried out. In addition, it is possible to perform various technological transitions, for example, milling planes, ledges, grooves, windows, wells, drilling, reaming, deployment, boring of various depressions. 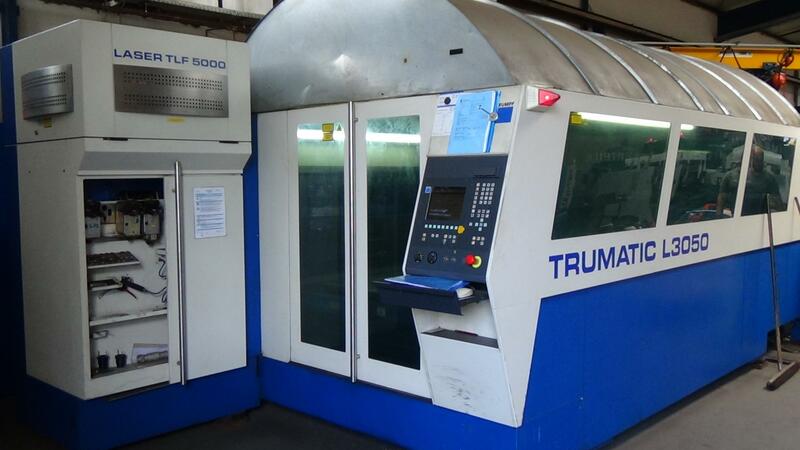 Machining center with CNC has a large stock of metal-cutting tools. In CNC machines and automatic replacement of tools, tool stock is most often located in turret heads. For example, milling and drilling machines, which are used to create parts using 5-12 tools. More expensive equipment is different tool stores with a margin of 15-30, and if necessary in 50-100 or more tools. Another feature is the presence of a desktop or a dividing device with a specific angular divide. Rotating the part allows you to process it from several sides without reinstalling it. Some models of machining centers are equipped with additional tables (pallets), as well as systems for automatic replacement of blanks. The workpiece is changed on a pallet-satellite during the work of the machine, increasing the level of productivity. A more accurate movement along the axes in the machining centers is guaranteed by the servo drives and the NC control system. In addition, there may be “built-in functions”. In the machines there may be additional systems for measuring / calibrating the tool or parts. Using such contact and laser systems allows you to save time, which will be needed to install the part and its binding to the machine coordinate system. Due to the high price, similar equipment is used to work with the most technologically complex workpieces. It is worth noting that one processing center completely replaces three to five CNC machines or five to ten universal machines. 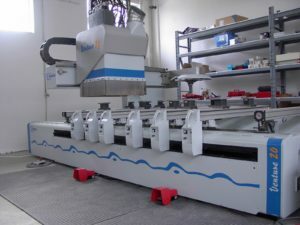 Whereas, most of the wood machining centers are equipped with a 3-dimensional system for moving the tool relative to the workpiece, it is often necessary to operate the cutting tool or workpiece (table) with one or more additional coordinates (axes) to work with the complex shape workpiece. Only 4, 5, and 6 coordinate OCs can cope with this work. In other words, such machines are called vertical milling machining centers. They are the most in demand. In it, the cooling liquid enters the processing area through external flexible channels, or enters the cutting zone through the spindle. Note that the cooling of the spindle-tool-workpiece group shows higher efficiency indicators, which makes it possible to increase the speed and accuracy of processing. The milling machining center differs from a conventional milling machine in that it does not have a table, and the spindle moves vertically along the guide columns, and the table guides are supported directly on the frame, which is located on the foundation. Such a structure of vertical milling machining centers guarantees them higher rigidity and processing accuracy in comparison with their console type precursors. The automatic tool changer system in vertical machining centers, most often, includes about 24 to 30 positions. This is due to the fact that they are created in the form of a round drum, the axis of rotation of which is vertical or horizontal, the increase in the diameter of the drum of this system is limited by the depth of the machine. Due to the use of tape / caterpillar tool changers, this limitation can be avoided. What are we buying: Packaging or what’s inside? Why should you care about images when selling used machinery?